Introduction :- For larger part Myanmar has remained a Mystery to this generation of Indians. But two generations before (grandparents) , people used to talk about Rangoon as we talk about US or Europe today.One would have heard growing up about the Rangoon Tales.It was the city which provided large-scale employment to their generation.Growing up, few of us knew Burma but almost all of us came across the stories of Rangoon.It is so true for the inhabitants of Eastern coast – from Bengal to Tamilnadu.One is unsure whether it has the same significance in lives of other parts of Indians, but nevertheless stories has traveled far and wide. Today, Rangoon is officially not even Rangoon, and Burma is not Burma. The military government renamed the country Myanmar and the capital Yangon. But, the country’s most famous citizen, the opposition leader Aung San Suu Kyi, still calls it Rangoon, as do most people. Five years ago, the generals abandoned Rangoon/ Yangon altogether, moving the capital 300 km up-country to a newly built city called Napyidaw. 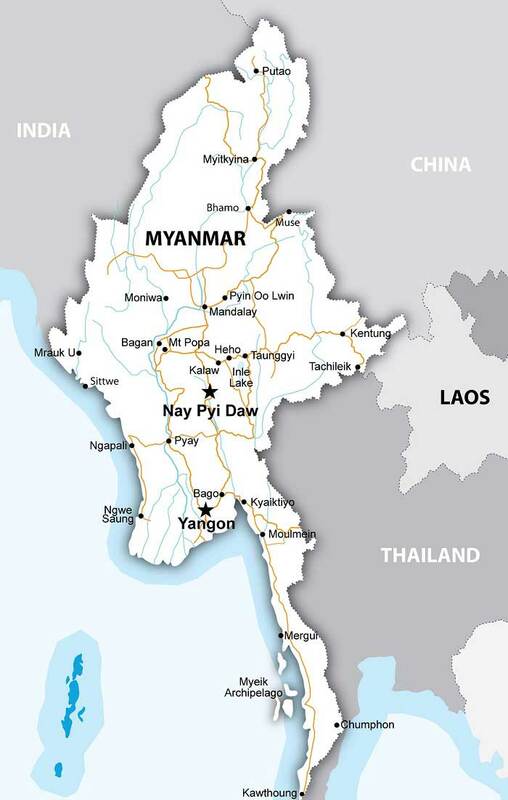 In English, the country is popularly known as either “Burma” or “Myanmar” . Both these names are derived from the name of the majority Burmese Bamar ethnic group. Myanmar is considered to be the literary form of the name of the group, while Burma is derived from “Bamar”, the colloquial form of the group’s name. Depending on the register used, the pronunciation would be “Bama” or “Myamah”. The name Burma has been in use in English since the 18th century. In 1989, the military government officially changed the English translations of many names dating back to Burma’s colonial period or earlier, including that of the country itself: “Burma” became “Myanmar”. 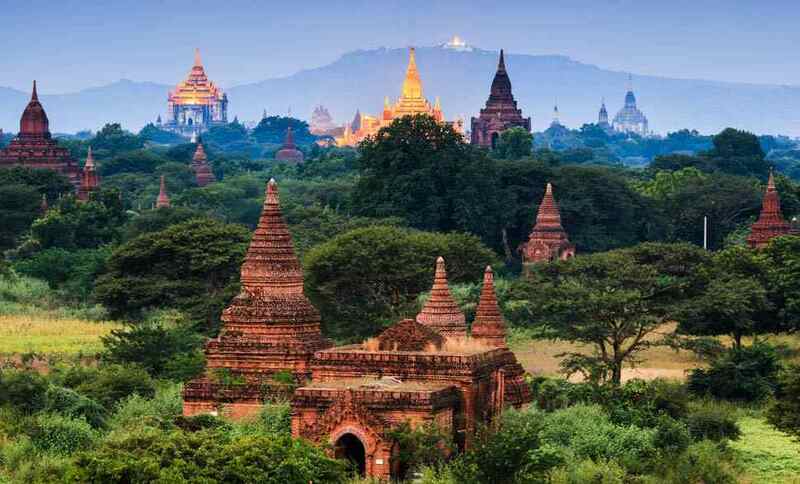 Myanmar has a long history and its greatness dates back to the early 11th Century when King Anawrahta unified the country and founded the First Myanmar Empire in Bagan more than 20 years before the Norman Conquest of England in 1066. King Alaungpaya founded the last Myanmar Dynasty in 1752 and it was during the zenith of this Empire that the British moved into Myanmar Wars in 1825. During The Second World War, Myanmar was occupied by the Japanese from 1942 till the return of the Allied Forces in 1945. Myanmar becomes a sovereign independent state in January 1948 after more than 100 years of colonial administration. Myanmar lies on the crossroad of two of the world’s great civilizations – China and India – but its culture is neither that of India nor that of China exclusively, but a blend of both interspersed with Myanmar native traits and characteristics. Buddhism has great influence on daily life of the Myanmar. The people have preserved the traditions of close family ties, respect for the elders, reverence for Buddhism and simple native dress. Myanmar people are contented and cheerful even in the face of adversities and known for their simple hospitality and friendliness. The local currency is the “Kyat” which is divided into 100 pyas. Burma was ruled as a British colony from 1885 until 1948. Burma was granted its independence from Great Britain in 1948. By granting independence to Burma, the British government gave the new ruler, Aung San. From the time of the signing of the Burmese Constitution in 1948, ethnic minorities have been denied Constitutional rights, access to lands that were traditionally controlled by their people and participation in the government. The various minority ethnic groups have been consistently oppressed by the dominant Burman majority, but have also suffered at the hands of warlords and regional ethnic alliances. Religion also plays a role in the ethnic conflicts that have taken place. In 1962, General Ne Win led a coup d’état and established a nominally socialist military government that sought to follow the “Burmese Way to Socialism.” The military expropriated private businesses and followed an economic policy of autarky, or economic isolation. There were sporadic protests against military rule during the Ne Win years and these were almost always violently suppressed. Aung San Suu Kyi is a Burmese opposition politician and chairman of the National League for Democracy (NLD) in Burma. In the 1990 general election, the NLD won 59% of the national votes and 81% (392 of 485) of the seats in Parliament.She had, however, already been detained under house arrest before the elections. She remained under house arrest in Burma for almost 15 of the 21 years from 20 July 1989 until her most recent release on 13 November 2010, becoming one of the world’s most prominent political prisoners. Aung San Suu Kyi was born on 19 June 1945 in Rangoon (now named Yangon).Her father, Aung San, founded the modern Burmese army and negotiated Burma’s independence from the British Empire in 1947; he was assassinated by his rivals in the same year. When Aung San Suu Kyi returned to Burma in 1988, the long-time military leader of Burma and head of the ruling party, General Ne Win, stepped down. Mass demonstrations for democracy followed that event on 8 August 1988 (8–8–88, a day seen as auspicious), which were violently suppressed in what came to be known as the 8888 Uprising. Influenced by both Mahatma Gandhi’s philosophy of non-violence and more specifically by Buddhist concepts, Aung San Suu Kyi entered politics to work for democratization, helped found the National League for Democracy on 27 September 1988. In the recently held elections,her party made a historic win. With her win , Myanmar seeks a smooth transition to true democracy. India is the largest market for Burmese exports. Mandalay – Tilak was sent to Mandalay prison by British. India and Myanmar have agreed to a 4-lane, 3200 km triangular highway connecting India, Myanmar and Thailand. 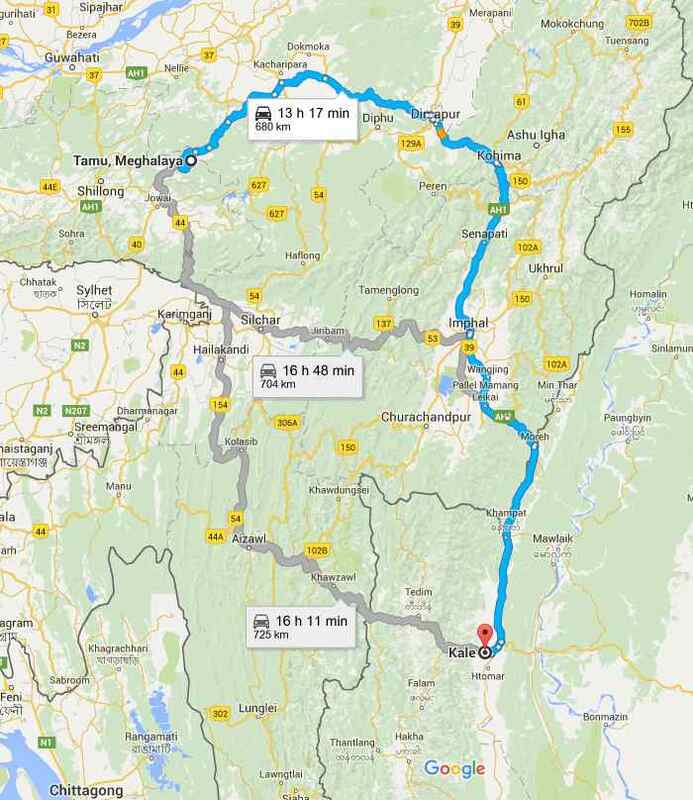 The route, which is expected to be completed by sometime during 2016, will run from India’s northeastern states into Myanmar, where over 1,600 km of roads will be built or improved.The route begins from Guwahati in India and connects to Mandalay in Myanmar, route continues to Yangon in Myanmar and then to Mae Sot in Thailand, which then continues to Bangkok. The first phase connecting Guwahati to Mandalay is set to complete by 2016. This will eventually be extended to Cambodia and Vietnam under Mekong-Ganga Cooperation within the wider framework of Asian Highway Network. This is aimed at creating a new economic zone ranging from Kolkata on the Bay of Bengal to Ho Chi Minh City on the South China Sea. 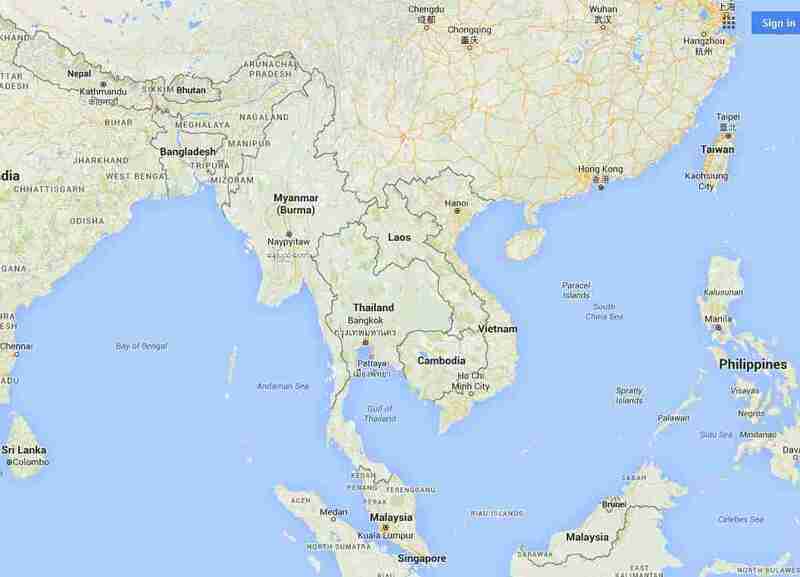 India and Myanmar share a long land border of over 1600 km and a maritime boundary in the Bay of Bengal. A large population of Indian origin (according to some estimates about 2.5 million) lives in Myanmar. India and Myanmar signed a Treaty of Friendship in 1951. Myanmar became a member of ASEAN in July 1997. As the only ASEAN country which shares a land border with India, Myanmar is a bridge between India and ASEAN. Myanmar became a member of BIMSTEC in December 1997. Myanmar is a signatory to the BIMSTEC Free Trade Agreement. Myanmar is the lead country for the energy sector. Myanmar trades mostly with Thailand and India in the BIMSTEC region.Myanmar’s major exports to India are agricultural products like beans, pulses and maize and forest products such as teak and hardwoods. Its imports from India include chemical products, pharmaceuticals, electrical appliances and transport equipment. Apart from the regional importance , Myanmar is strategically important to India, given the ,secessionist and insurgency presence of North-East region.Myanmar acts as a base for the insurgent groups and thick jungle becomes their safe haven.Hence Myanmar co-operation in counter-insurgency operation is vital.